In case of a flat tyre, you must gradually slow down and come to a standstill on one side of the road. 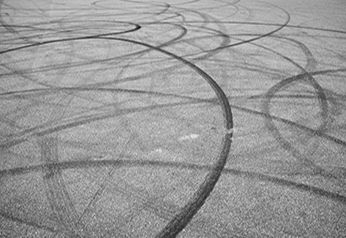 If you continue to drive, you can end up damaging your tyre and wheel or if travelling at speed be responsible for an accident. Breakage of the link between a tyre and rim owing to a collision with an external object. When to Repair and when to Replace a Tyre? There is an Australian Standard that regulates the repair materials used and the total number of repairs to be carried out on a tyre, based on the tyre size and location of the puncture. In case you are uncertain about whether your car tyre should be repaired seek expert advice. 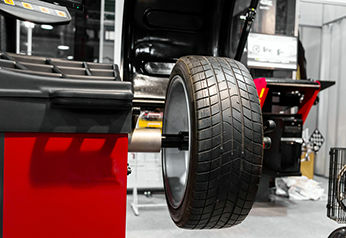 Some manufacturers allow tyres to retain their speed rating if the specified multi-step repair procedure is followed exactly. But because manufacturers have no control over the state of the puncture or the quality of the repair, they judge the high speed capability of the tyre to be compromised. Completely fill the path the object took through the tyre. 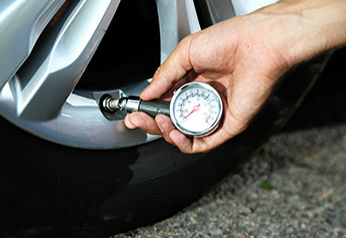 Typically, a mushroom-shaped patch and plug combination repair is the best method of repairing a punctured radial tyre. Repairs require the removal of the tyre. 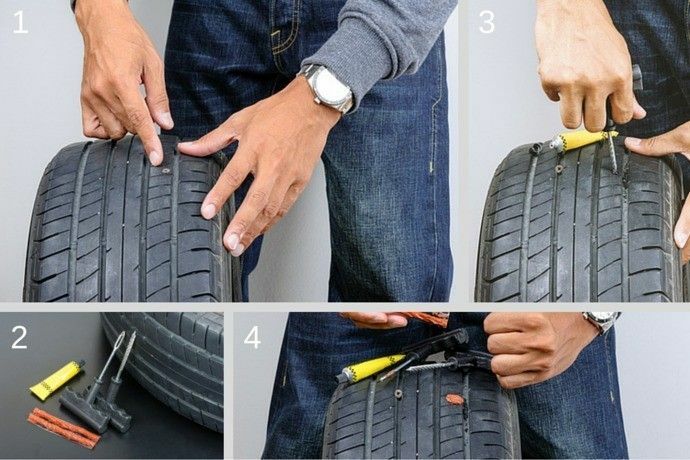 Without inspecting the inside of the tyre for hidden damage the repair can be incomplete. Allowing the tyre to be inspected internally also applies to the rule that the puncture has to be sealed from both sides, as proper repair has to treat both the inside and the outside of the tyre. The one exception to this rule is an external plug can be used as a temporary measure when the puncture occurs in remote locations. Repair has to fill the path the object took through the tyre. Otherwise moisture can seep in from the opening of the puncture to reach the steel belts and/or casing cords. This exposure can cause rusting or deterioration and further compromise the structural integrity of the tyre. To repair the inner-liner it must be cleaned, buffed, cemented, patched and coated to restore its ability to retain air. This can only be done from inside the tyre and another reason why plug-only repair is unwise.